Find the best foreclosure homes listings for sale — bank-owned, government (Fannie Mae, Freddie Mac, HUD, etc.) 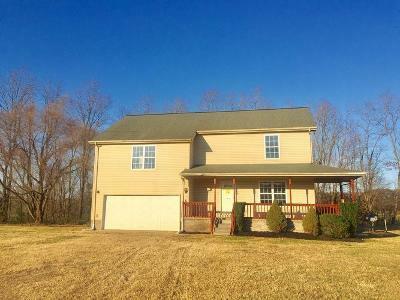 and others — in and near the Allensville Ky 42204 area at Foreclosure.com. Get information on foreclosure homes for rent, how to buy foreclosures in Allensville Ky 42204 and much more. Save thousands at closing with home foreclosure listings in Allensville Ky 42204 — up to 75% off market value! Allensville is an census-designated place and former city in Todd County, Kentucky, in the United States. The population was 189 at the 2000 census. Settled in the 19th century and formally incorporated in 1867, the city was named for a pioneer family in the area. The city government was officially dissolved in 2017 after years of inactivity. Allensville was settled in the early 1800s, and was originally a crossroads community concentrated around the intersection of two early stagecoach coach roads (these roads roughly followed the paths of modern US 79 and KY 102). This crossroads was about a mile northwest of the community's present location. By the late 1830s, Allensville included a post office, two general stores, and a blacksmith shop. The community is believed to have been named for a family of early settlers. In 1860, the L&N established a depot just south of the old Allensville community as part of its branch line from Bowling Green, Kentucky, to Memphis, Tennessee. Within a few years, most of the community's merchants had relocated from the crossroads to the community's current location, which was closer to the depot. After the Civil War, the city incorporated, and thrived for several decades as one of the primary agricultural shipping points between Bowling Green and Memphis. Kentucky's first Rural Free Delivery service was established at the Allensville post office in 1897. There are currently 1 red-hot tax lien listings in Allensville Ky 42204.